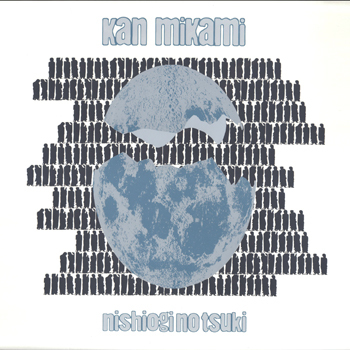 Solo studio recording by Kan Mikami, Japan's reigning king of surreal avant-blues. Forty plus minutes of exclusive material recorded for Siwa in France during Mikami's 2008 European tour. Numbered heavy weight vinyl only edition of 333 in handpulled screen printed sleeves. Includes lyrics in Japanese and English (title track alone is a trip through painted omelets and the moon to a rusty French bicycle).